Remember when Instagram first started allowing users to post videos back in 2013? The first Instagram videos had to be recorded on your phone and could only be up to 15 seconds long. Those were the days that people compared Instagram video to its Twitter-owned counterpart, Vine. Instagram has come a long way since then, and it's blown Vine out of the water. Like most of the other popular social networks, the folks at Instagram have made changes to its platform that make it easier for people to post and share videos. In late March 2016, Instagram announced they'd start rolling out the ability for Instagram users to upload 60-second videos. For iOS users, they added that users will soon be able to make videos out of multiple clips from your camera roll. Thanks to these changes, marketers can use the Instagram app to relate with their fans and customers, to communicate their business' personalities and brand stories, and to express artistic creativity. There are a lot of brands who are posting great photos on social media. But what about videos? While brands have been slower to adapt to Instagram's video platform, many of the ones that are experimenting with it are doing it really well. Check out the examples below. Click anywhere on the videos to play them, and click again to pause them. Oreo is known for its simple, creative social media content -- and its Instagram videos don't disappoint. The video below is a great example of a fun, creative video that works perfectly for the platform. While we love the sound quality in this video -- how satisfying is the sound of pen on paper? -- it doesn't require sound to make sense. This is a really smart move because when you're viewing any video on Instagram, you'll hear sound only if your device's volume is turned on. If your phone is set to silent or vibrate -- which is the case for many people, especially when they're perusing Instagram in public -- then the video will play with the sound off. Keep this in mind when you're planning your next Instagram video: It should either be eye-catching enough to draw people to turn on the sound within the first few seconds, or it should be able to play without sound. Here's another Instagram video that doesn't require sound. In fact, it's completely silent -- and the reasoning is very clever. The Burger King (yes, that's the name of their mascot) is famously silent. But on the 199th anniversary of National American Sign Language (ASL) Day, he broke his silence both on Instagram with the video below, and on YouTube with a longer video -- a great example of paring down a longer YouTube video to fit Instagram's platform. 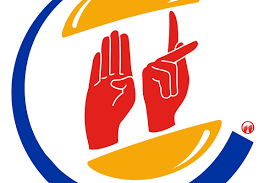 In the video, the Burger King calls on their deaf fans to ask what the official sign for their famous burger, the "Whopper," should be. The video encourages fans to submit ideas via social media using the #WhopperSign hashtag. If you know anything about GoPro, you're probably picturing the company's Instagram account accurately: extreme sports shot from GoPro's classic fish-eye lens. The video below is one of the few longer Instagram videos out there that you're happy to watch all the way through. Right from the still image before you press play, you know what's waiting for you. The video's first-person point of view gives you an intensely intimate experience that any business page desires to give to its followers. Inspiring content tends to do very well on social media, especially Instagram. This video is clearly the work of professionals, which not every brand has the resources for. But the message, which is part of a larger campaign shared across their website and other social networks, is both beautiful and shareable: You have 25,915 days: What will you do with them? "We want people to be able to watch the video and feel like they can pull it off at home," Andrew Gauthier, creative director of BuzzFeed Motion Pictures, told CBS. The folks at BuzzFeed have published more than 500 "Tasty" videos since last July, and they've been viewed 14 billion times, mostly on Facebook. But these videos are perfect for Instagram's visual platform, too. Thanks to Instagram's decision to extend video length to 60 seconds, BuzzFeed is able to post full recipe videos along with a caption explaining exactly how it's done. Here's another food- and recipe-related Instagram video that took a different approach than BuzzFeed Tasty. In this video, Milan-based food stylist Livia Sala captured the process of making ravioli on video, complete with cute "commentary" from some of the ingredients on the list. Instead of using fluid video, Sala uses a series of still shots, one after another. This is called a "stop action video" from still photos, which you can create by taking still photos and uploading them to iMovie on your computer or phone. This is a great video because it's delightful and fun -- are you seeing the trend here? The post was a Shorty Award finalist for Best Instagram Video in 2013. Think insurance companies are limited to boring content? 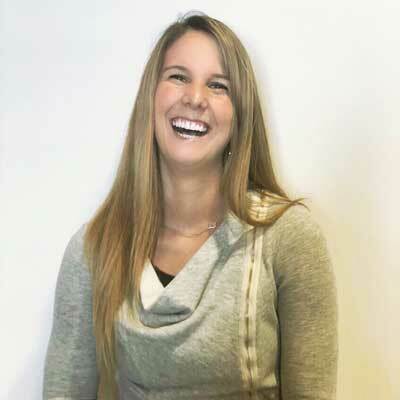 Allstate has always set themselves apart from the crowd with their entertaining commercials and social media presence. On Instagram, some of the videos they post are video memes -- this is a meme format we haven't seen many brands use. People love memes on Instagram because they're funny and shareable, and folks tend to tag their friends in the comments, thereby expanding the post's reach. That's exactly what happens with Allstate's video memes, like the one below. Here's an example of a short, snackable video that showcases a product in a funny way. In this case, Ikea's showing off its anti-slip mat with a scene of a dad chasing his son (who happens to be wearing a hilarious monster costume). This video is great because it doesn't just show what the product looks like. In fact, you barely see the product itself. Instead, it shows the product's benefits -- and in a way that lets viewers see the brand's personality. Instagram users love seeing personality behind Instagram content, which is why it does so well for engagement. So the next time you want to showcase a new product, consider showing it off in a humorous way. This Canadian outdoor adventure apparel company consistently posts great content on Instagram. Not only is their Instagram content always high quality, but they use it to showcase the lifestyle they build around their products, not just the products themselves. "[On Instagram,] it’s less about the product than it is about sharing good times," said Camp Brand Goods' Leslie McNeilly. "We tend to post an even mix of scenery shots and product shots. We created our own hashtag [#keepitwild], and we award a T-shirt weekly to an Instagram user who is caught keeping it wild." While they haven't done many videos, the one below is a great one. It has the same look and feel as their photos on Instagram, especially with that vintage, faded look, with perfectly matching music. Here's an example of a great product announcement video on Instagram from Ben & Jerry's. We love that the video shows a fictional way the product was made -- as if it were as easy as putting cookie dough and Oreos in an empty pint and shaking it up. It's another great way for a brand to show its personality using short videos. The video's playful tone is perfect for Instagram -- and so is the length. Although Instagram is starting to allow longer videos, it's important to remember that users are often scrolling through their feeds when they come upon a video, and many may not want to watch for more than ten or twenty seconds. This would've been a great video to share on Facebook, too, because of that playful tone and short length. 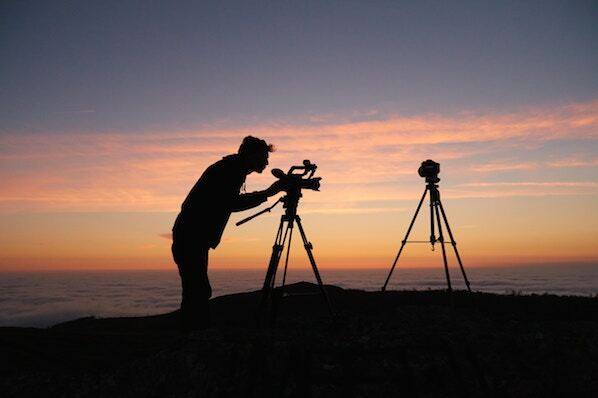 Nothing like a breathtaking time lapse to mesmerize your followers on Instagram. You might not think a commercial real estate and investment services firm like CBRE would have beautiful content to post, but it's videos like this that have the ability to showcase the more visually pleasing sides of the industry. Even if you work for a "boring" industry, you can come up with creative ideas that cater to what type of content your audience wants. One key thing to keep in mind -- especially on Instagram's platform -- is to make your content relatable and approachable. In other words, make it human. No one who's scrolling through their Instagram feed wants to see a cut-and-dry product update. They'll scroll right past it and on to their friend's video of his cat. 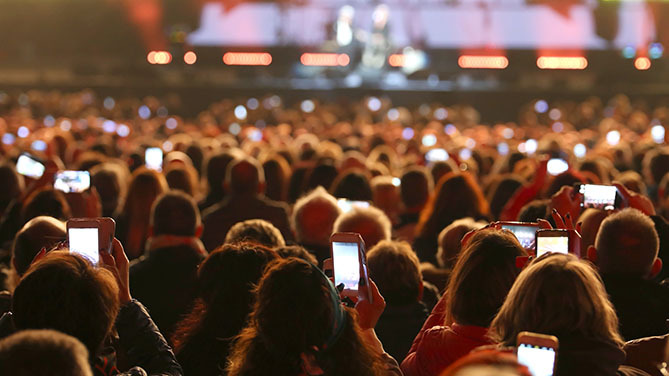 Instead, produce videos that help you form an emotional connection with your fans, as CBRE did with this stunning video, the beauty of which anyone can appreciate. Califia Farms is another brand that consistently creates awesome Instagram content. They tend to post a solid mix of photos and video content, including fun, playful videos and GIFs like the one below. Here, they're announcing a new product with a sort of "slow reveal" -- but one that's visually compelling enough for users to stick around. If you like the idea of posting animated videos to your own Instagram account, they aren't actually all that difficult and expensive to create. Here's a list of 10 easy-to-use tools for creating animated photos and videos to get you started. Here's a stunning image from Flixel Photos. ... Or is it a video? It's actually something called a "cinemagraph," which is kind of a combination of the two. A cinemagraph is a file format used to create short, infinitely-looping animations for the web that look like images with a moving component. The effect is really cool: It's like experiencing a living moment. Creating a cinemagraph isn't as hard as it looks. Here are seven tips from Flixel photos on making your cinemagraphs remarkable. A video doesn't have to be long to be successful. In fact, the video below from Dunkin' Donuts is literally three still images put together into a video. This is another example of a "stop action video" from still photos, which you can create by taking still photos and uploading them to iMovie on your computer or phone. While this video is super simple, what makes it great is its timeliness (in celebration of Mother's Day) and that it's funny, unexpected, and therefore shareable. Donuts given like flowers? Yes, please. Another great use case for Instagram? Showcasing your company culture. Instagram's a great platform for positioning your brand as a friendly face and building a voice and personality to build a relationship with followers. It doesn't hurt for recruitment, either. Here's a wonderful and whimsical video that cuts together short clips from WeWork's company party. Kids breakdancing, someone dressed up as a snowman, employees talking and laughing ... they did a great job of showcasing the employees' personalities and making the party look really fun. The American TV show Saturday Night Live produces great video content by its very nature -- but that's not the only reason why their Instagram videos are so good. They have their Instagram promotion down to a science. 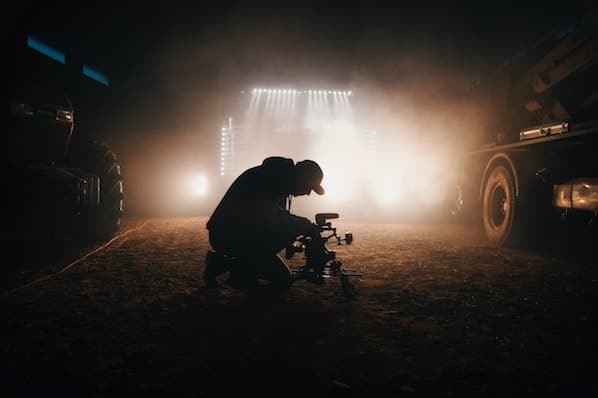 "It's found a successful formula for extending each show way past the broadcast date, and for re-purposing TV content for the online generation, with micro-video playing a huge part of that," writes Carla Marshall for ReelSEO.com. "Take the 2nd April show, which featured Game of Thrones actor Peter Dinklage, and singer Gwen Stefani. Both appeared in a very odd little sketch called 'Space Shorts/Pants' which SNL then uploaded to Facebook, and YouTube, and to Instagram, where it generated over 70K views. By using its social media presence, the brand was able to extend the buzz around the sketch for days, even weeks, after." Struggling to create short but sweet Instagram content that drives engagement with your business? Download some inspiring Instagram post and story templates below to improve your game.